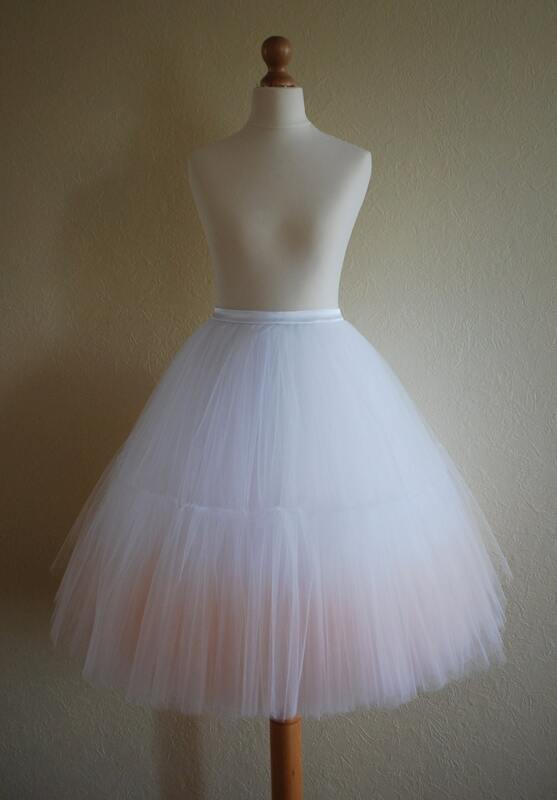 * 10 layers of tulle, with hand dyed bottom in ombre manner. 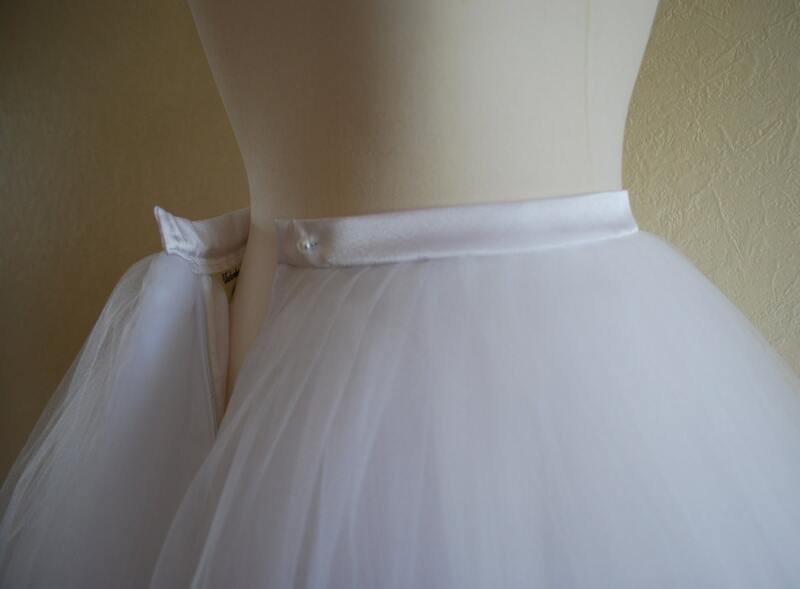 The skirt itself is snow white, but could be done in off white or similar light colors by request. 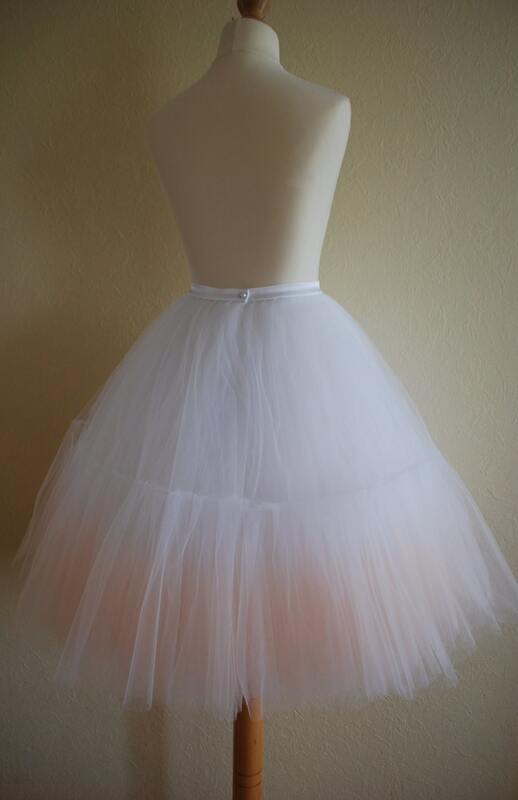 * Bottom row double in width (236" or 6 meters of pleated tulle), resulting in puffiest look. * Shiny, polyester satin waistband, 0.8" or 2cm waistband by default. Can be made matte instead of shiny by request, can also be made wider or thinner by request. * Closure: completely hidden zipper and one pearly button. Can be made with a hidden button as well. 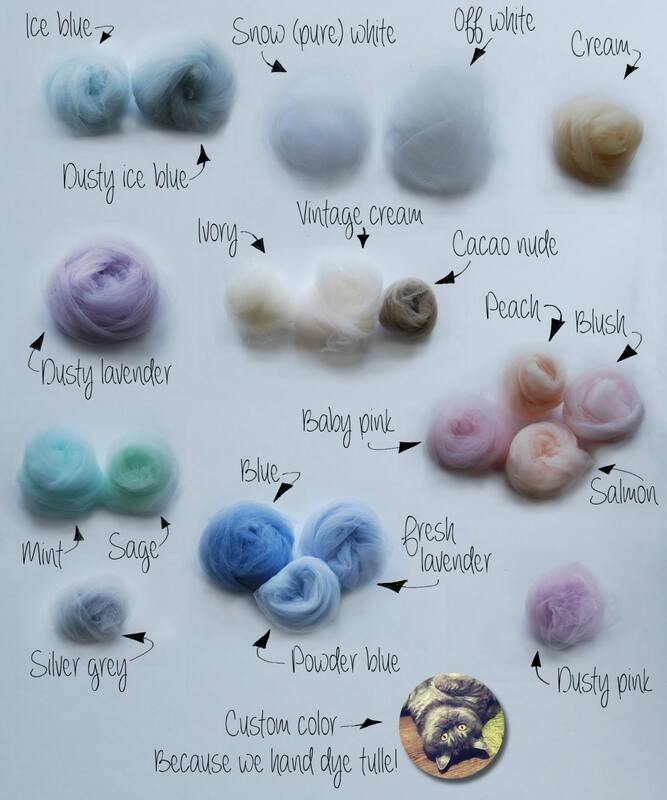 * Shown skirts are is dipped dyed in Custom Dusty Blue shade and Salmon. * Making of: up to 8 weeks. Shipping time: up to 5 days. We accept rush orders. * Shipping company: DHL Express Worldwide. Please provide your phone number for a smooth and on time delivery. If you have a tight deadline, please inform us, and we will be happy to meet it. For deadlines of less than "in three weeks", please inquire first.